Guest blogging delivers advantages for your content marketing program – credibility from third-party websites, more eyeballs, SEO-helpful backlinks, etc. But the disadvantage is the time it consumes to create that refreshingly unique content. If you work like a machine, you might be able to churn out three to four pieces a week provided you don’t do anything else. Enter the hub-and-spoke method, a creative marketing strategy to make the most of your efforts. The idea is to create one piece of long-form content for your blog – the hub content. This primary article contains points and takeaways you can elaborate on in other articles – the spoke content. You can use these articles as excellent standalone pieces to submit as posts on sites that accept guest bloggers. 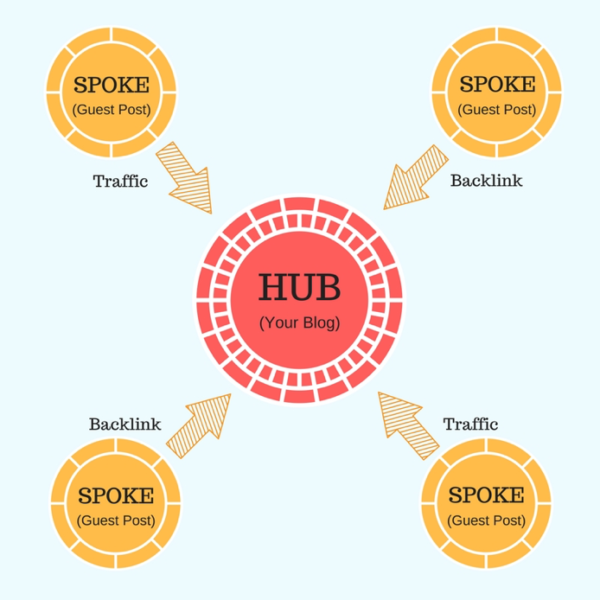 The hub-and-spoke model will save you considerable time because you don’t have to spend a lot of time to come up with fresh ideas to pitch for a guest blog or to research the topic because you’ve already done most of that work in crafting the hub content piece. Good organic traffic potential – Use Google Keyword Planner or another tool that monitors traffic by topic, and evaluate what’s been written on a topic. Choose a relevant keyword with less competition but good traffic. Four to five points you can elaborate on – Explore your topic through multiple lenses and angles. Your hub content should incorporate multiple elements worthy of further exploration in the form of spoke content. Best content on given subject – Given you’ll link to your hub content from your spoke content published on third-party sites, your hub content better be the best on the topic. That way the guest blogging site will want to link to it to help their readers get the best content. 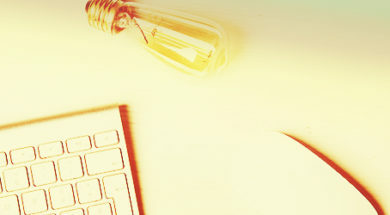 TIP: Review your existing blog content. If you have an article that satisfies the three conditions, you already have a center for your hub-and-spoke model. With your hub content in process or finished, you can brainstorm for sub-topics for your spoke articles to submit as guest blog posts. You can do this with one of two methods – branching or feedback. 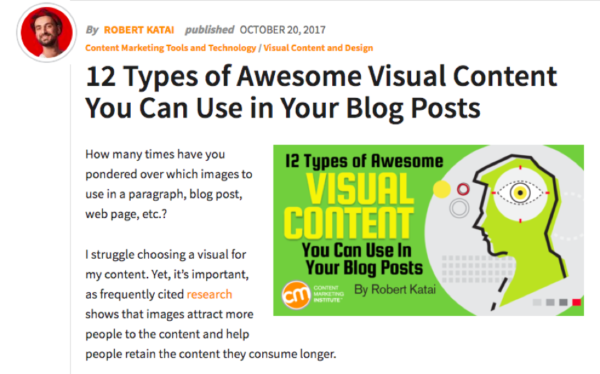 Each type of visual discussed in the hub content could be the foundation of a spoke article, which then can be submitted as guest posts to credible third-party sites. If you want help brainstorming angles on your spoke topics, make use of Answer the Public to learn what kind of questions people have around a keyword. 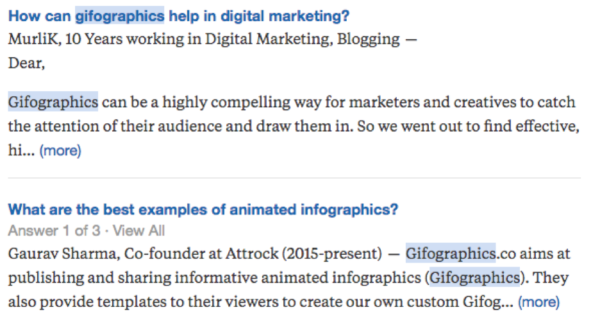 You also can hunt question-and-answer sites like Quora. Such intel will give you an assist in knowing what the audience may want to know about the topic of your spoke content. 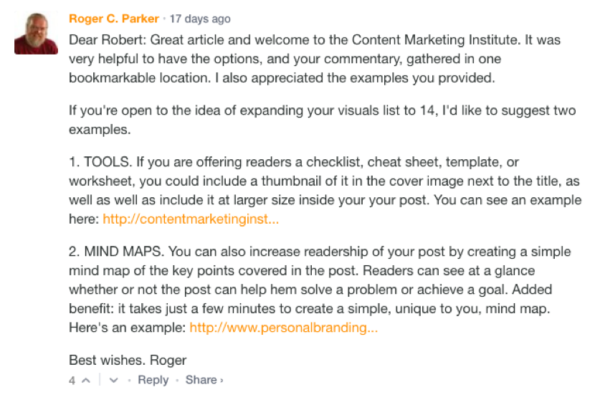 With a little bit of brainstorming around a comment, you can come up with many ideas for spoke content. A lot of marketers fail because they don’t document their process. In my experience, my clarity of thought and efficiency in execution quadrupled when I started documenting my process. Here is how I documented the hub-and-spoke method around our recently created hub content, The Creative Marketing Guide, in a simple spreadsheet. To help select the most time-effective spoke ideas, rate them in terms of difficulty of additional research required. You can target articles that require minimum research on busy weeks and take up the other ones later. The key to documenting your hub-and-spoke ideas is to create a tracker that connects all the content in a singular format so you don’t have to start from scratch whenever you tackle a guest blogging submission. Using the hub-and-spoke method to guest posting, you can improve your efficiency and save hours every week. It’s like the best of both worlds – you’re able to contribute valuable content to other blogs without spending too much time on research and idea development. What creative hacks do you have to boost efficiency and ease the life of a fellow content marketer? I’d love to hear them in the comments. See what guest bloggers (and the CMI team) write about daily to help you improve your content marketing programs. Subscribe to the free newsletter today. Arvind Kesh is in charge of creative marketing at Animaker - a DIY visual content creation tool used by millions around the globe. He is a passionate writer and speaker who believes in exploring the inner creative genius to succeed in business and life. Catch him on Twitter @digikhiladi and say howdy!